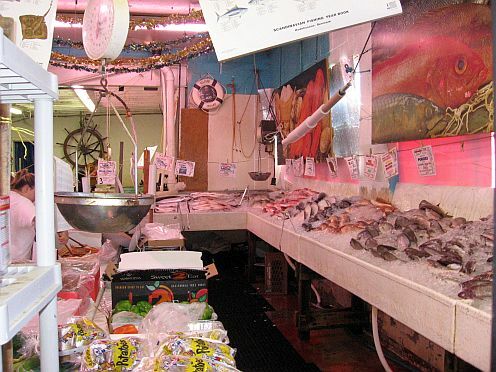 The Nautical Mile fish markets, 3 in all, offer a wide selection of fresh local caught fish as well as other varieties delivered daily from the Fulton fish market in Hunts Point. 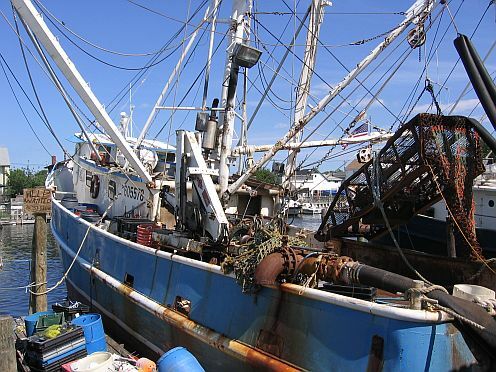 Getting fresh fish on Long Island is never a problem since we are surrounded by water and have fishing fleets harbored from east to west all around the island. The fleet on Freeport’s Woodcleft Canal supplies the Freeport fish markets as well as local restaurants and, depending on the catch, the rest of the world too. 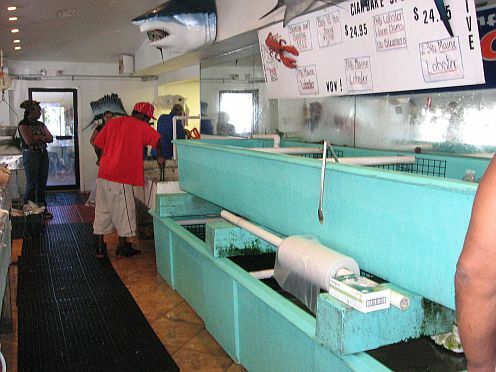 The Nautical Mile fish markets are unique in that they are so close together—3 markets share the 1 mile strip. This is a great convenience for fish lovers like me since we can shop each market for the freshest possible catch. If I’m looking for bluefish and I don’t like the way it looks in one market, I go to the next. 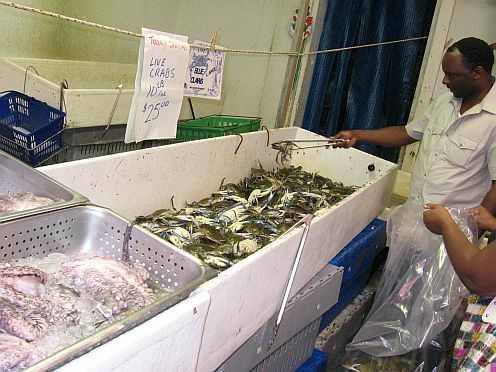 The Market – The fish market should be clean and not too smelly. Of course it’s going to smell like fish, but it shouldn’t stink or smell bad, like rotting fish. That indicates an overall lack of cleanliness. Smell – this is the most reliable indicator. Fresh fish smells like the ocean, not low tide. There should be no strong odors of any sort, especially no ammonia-like smells. Texture – Fillets should be firm and spring back when pressed with a finger without leaving any visible indentation. Appearance – Fillets and steaks should not exhibit separation of the flesh. A little is normal, but if you see a large degree of “gapping” the fish is getting old. Dark red spots are bruises which indicate rough handling. This just a cosmetic problem and the fish is good to eat, but bruising could indicate an overall lack of care in fish handling. Eyes – If you’re buying whole fish look for clear eyes. Cloudy eyes indicate the fish is getting old. Be careful however, because some fish, such as grouper, have cloudier eyes to begin with. Gills – Gills should be bright red, not dark or brick red. They should be clean and mucus free. Body Cavity - Fresh, bright blood in the body cavity is a good sign of freshness. Dried blood, brown in color means the fish is old. If you’re not sure about the freshness of something, just ask. A good market does not want you going home with old fish, so if something has been sitting around too long, they’ll throw it away and give you something fresh. This brings me to another good point about the Nautical Mile fish markets: Their popularity. 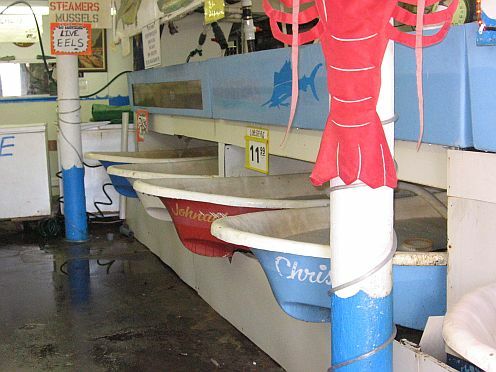 So many people shop there that the fish doesn’t sit around for very long before it’s sold. 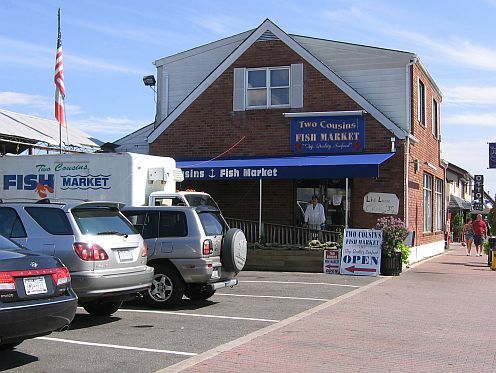 The first market you’ll come to is Two Cousins Fish Market which is right next to Otto’s about halfway down the Nautical Mile. This is a large market offering a huge selection of fish. What I like about Two Cousins is that everything is out in the open for easy inspection. Service is generally prompt and friendly. 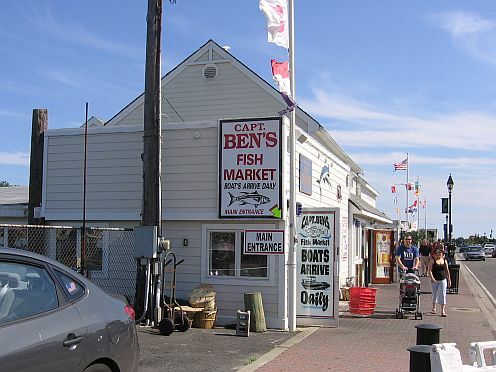 The next Nautical Mile fish market is Captain Ben’s. This is another large market offering just about everything. As the sign says, boats arrive daily guaranteeing fresh fish. Service is good here too, but keep in mind that when these stores are packed the staff does the best they can to help everyone in a timely fashion. Way down at the end, just before The Schooner Restaurant is Fiore Brothers, the smallest of the Nautical Mile fish markets. In business since 1920, Fiore Brothers offers off-the-boat fresh fish and has an outdoor dining area where they serve homemade seafood specialties. The only things I don’t like about this market are that everything is behind glass and the selection is not as varied as in the other markets. Click the blue balloons below for directions to each fish market. 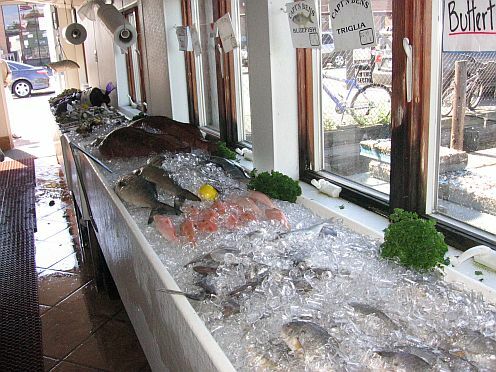 Depending on where you live the Nautical Mile fish markets might be a little out of the way, but because you can shop three markets in one shot it could be worth the trip. There's more to the Nautical Mile than just fish. Check out these fun restaurants and bars, romantic cruises, and casino boats.